Commercial gooseneck lighting is a perfect solution for signs, monuments and awnings. The days of internal light sign boxes is over. The incandescent gooseneck fixture is cast aluminum, making it durable for all-weather conditions. 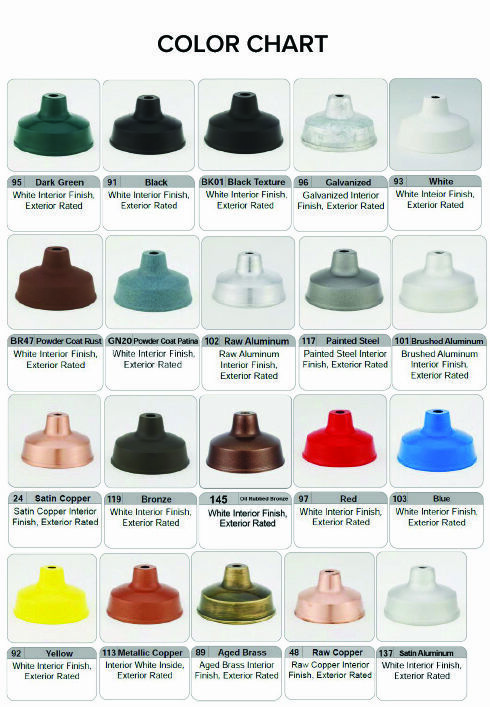 Choose from a range of options including one of over 20 colors for your powder-coated finish; a shade, like the emblem shade, for directional lighting; power supply and wire-guard to suit your requirements; and mounting plate to match your junction box. Once completed you have an elegant, contemporary flair to match the setting and theme of your project. The lighting fixture and shade is rated for up to a 150 Watt bulb (not included) and includes wall mounting plat with holes 3-1/2" O.C. for Std. J-boxes.